Updated 04-03-14. 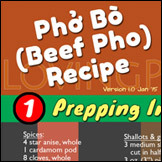 I received a number of requests for pronunciation of "Bún Bò Huế" and "Hủ Tiếu Nam Vang." 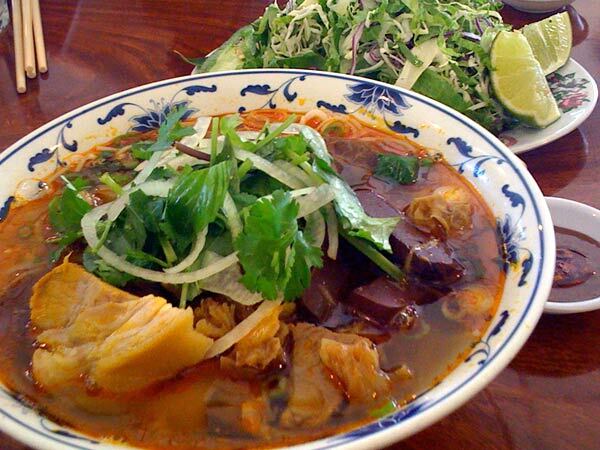 Bún Bò Huế or Bun Bo Hue is the spicy beef noodle dish with larger round noodle, pork hocks and coagulated pork blood. It's originated in Central Vietnam and named after the old capital Huế. Hủ Tiếu Nam Vang or Hu Tieu Nam Vang, on the other hand, is the Vietnamese hu tieu Phnom Penh-style noodle, originated in the south but (obviously) with Phnom Penh influence. 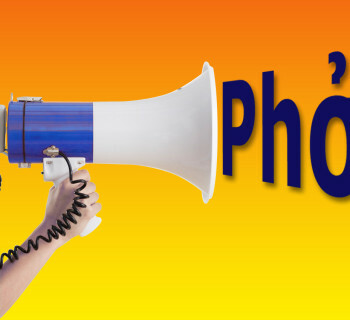 Here are audio files on how to say Bún Bò Huế and Hủ Tiếu Nam Vang in Vietnamese. As always I included both southern and northern accents. I'm ready to order one of these today. Here’s one, bun mam. How do you say it, and is it good? It is listed on the “dac biet” specials menu at my favorite noodle place, and I wanted to try it but didn’t. This small menu holds what looks like the “real” Viet food at this restaurant. Anyway, this soup doesn’t appear to be as prolific as pho or hu tieu, or even bun bo hue, but the few online articles I can find “noodlepie rated it the best soup on his blog a few years back” rave about it. Thanks for the request and comment, Inthewater. 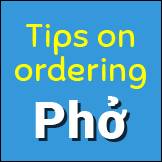 You can find pronunciation for Bún mắm as #18 on the Pronunciation of Pho and Other Vietnamese Words and Phrases page. 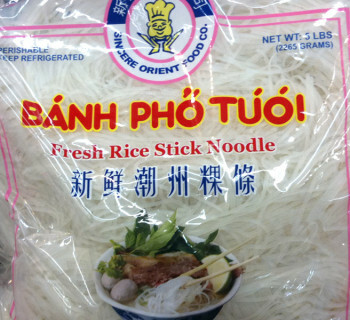 Bún mắm, and its cousin bún nước lèo, have never been my thing. These are popular noodle dishes from the Delta, and because of this they have too much freshwater fish and taste for this city boy (Saigon that is.) Normally I can eat fish of any kind just fine. But add to this the mắm part which is a very pungent paste of fermented fish and other water living things, and the whole thing becomes overwhelmingly fishy to me. Even some of the herbs and other greens are quite strong (some with fishy smell and taste as well.) There may be many Viet who love this dish (obviously those from the region,) but there are many many more who don’t. 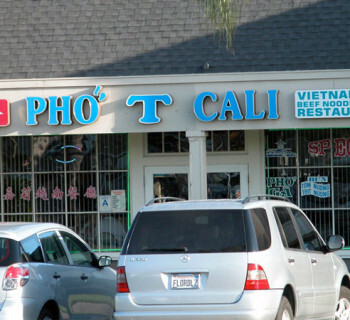 I guess there’s a reason why only pho and a few other noodle dishes attract foreign eaters. It is because they are delicious to the average taste, and therefore are very popular, widespread among Viet people – and we are proud to introduce them to foreign friends. But on the flip side, there are many indigenous foods that we’d rather not “offend” anyone with, Viet or foreign. With all due respect to noodlepie, rating bun mam as “best” may be an overreaction. You may have to try it once yourself, and maybe give us your own take on it. Anyway, if I giveit a go, I will let you know what my thoughts are. Thanks again for the insight into this interesting food culture. Sounds like he thought it had a strong odor, as well, but that the tastiness was worth it. It could also be much different in Saigon than in Des Moines, Iowa. I’ll let you know if I decide to brave a bowl. So which do you think you like better: mì quảng or bún mắm? I’d be interested in your take on them, from a “virgin” viewpoint with no preconceived notion about either dish. Regardless, though, I’d question their “goodness” or authenticity. Because there’s no competition, thus volume sale, restaurateurs are not necessarily pressured (or able) to keep up their quality. You know how restaurants are: many cut corners every chance they get. Hi J. Chan: Thanks for your input. I wouldn’t be surprised if Southern Viet Nam was a apart of Cambodia. Elizabeth Street Cafe just opened in Austin, and I was delighted to visit at lunch last week. I forget what I ordered, but it was soooo good, an elongated bun filled with strips of beef and crunchy veggies. All the dishes looked wonderful, so, because I’ll go back, I hope to pronounce the names better. 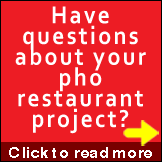 Your website is just the ticket, and thanks so very much. I tried bun mam before and I love the Taste of it it is one of my favourites soup to eat when I go for Vietnamese food.